Do you love to download the Movies, Videos, Songs and other larger size files on the Internet for your Entertainment or Educational Purpose? The Answer Must be yes for Most of us. Torrent is the best source to get whatever we want but all of us knows the direct way to Download the Torrent file in Torrent Client Application. It works well if the file having the Great seeders, in some cases it fails to fetch the download and we need to Force Download. You can have alternative ways to download the Torrent file. Let’s see the Best Alternative to download the Torrent File Faster with IDM (Internet Download Manager). 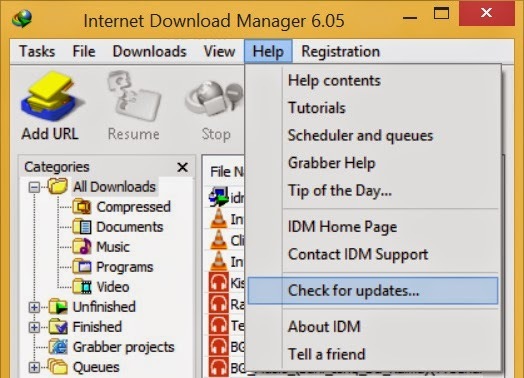 IDM is one of the Popular Downloader application out there on Internet. Get it from www.internetdownloadmanager.com. Install it and Integrate IDM with your Browser. If you already have the Integrated IDM then Move directly to the next step which is Torrent zbigz Download. Zbigz provides the Fastest and secure download by hiding your Actual IP. You can use zbigz without Registration. Follow the Easy Steps Below. 3. Click on the Go! Button. 4. It’ll takes few seconds to upload. 5. Select Free if you have not registered. 6. Now After It gives you the Uploaded Torrent and Compress If you want zip file or download directly. 7. Your IDM will Pop-up and click “Start Download”. IDM (Internet Download Manager) is the best Faster Download Application Out there. It works like charm and fetches the content more quickly at higher speed on the Internet. Download the IDM and Install it. Now open up the Browser (Mozilla, Chrome or any). Inside the Add-ons – Extensions you’ll find the option to Enable/Disable the IDM CC (Compatibility Checker). Find the Extension in any browser and enable the IDM CC as below. Enable it if not enabled yet. Restart the Browser and You’re Done! If you’re having the Issues with Integration and don’t have the Option to Enable it then it is the Browser compatibility issues. Your Browser might be updated and now you need to update the IDM also. Open up the Download Manager and inside Help Option from the Top click to check for Updates. It’ll update the Version and works with the Latest Browser Versions. Sometimes you required to Update the Browser to fix the compatibility issues. Comment to state views and problems. Open the URL www.utorrent.com and Download the tiny Torrent Client Application to your computer. It is the Download client/ Downloader. It works on any Operating system Including Windows-Mac-Linux etc. So when you run the .torrent File it’ll open up with the Torrent client which you’ve downloaded. You may have question from where to get the Torrent file? You can get torrent file directly typing term inside the Search engine ends with Torrent keyword. Suppose you’re looking for the Software Photoshop then search “Adobe Photoshop torrent” like that. Which gives you the bunch of URL of Torrent. Another best way to download torrent File quickly. 1. Open up the Torrent Search Engine https://torrentz.eu. 2. Search for the Torrent File which you want. 3. Download the Torrent and Double click on It to Run. 4. It’ll open up with the Mini torrent Client Application and Download Starts Automatically. Enjoy the Torrent Quality Download.